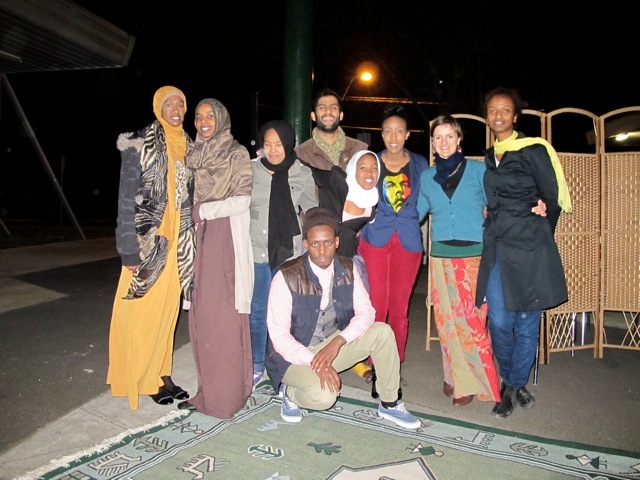 The African Street Theatre has been working with African Australian communities since early 2012, holding theatre workshops with community members working with trained theatre makers. These workshops are aimed toward presentation during a series of public performances of ‘street theatre’, addressing such issues as mental health, law and police, education, alcohol and other drugs and intergenerational conflict and language barriers between parents and their children. By using street theatre in this way the African Street Theatre aims to open up dialogue amongst African Australian communities on taboo subjects and provide information on and facilitate resolution to issues that effect health and wellbeing of community members. African Street Theatre is run by and for African Australians, with the group being led by Director Nadia Faragaab, who is also an artist and youth worker. The group engages a number of key artists and theatre makers who are highly skilled and trained to work with the community. Central to the organisation, community members make up the participants of African Street Theatre and provide much of the direction to the Group by being the main decision-makers.